What a peculiar day. The sun is blazing and the beach is packed with holidaymakers. As they saunter along clutching ice creams, buckets and spades they seem oblivious to the excitement building at the far end of town. 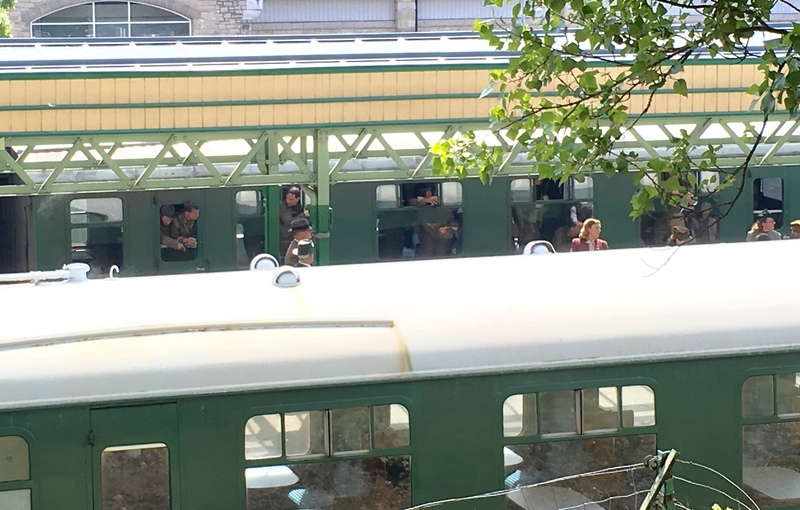 The scene is very different outside Swanage railway station, where a gaggle of teenage girls have clambered on to the wall to gawp at their heartthrob. A few yards away, a seasoned group of photographers with long lenses are busy setting up their aluminium ladders. I haven’t seen so many ladders since my royal watching days on the Evening Standard. Rumours have been swirling for weeks that Harry Styles will be in town this week, filming scenes for his debut acting role in the Second World War epic, Dunkirk. There have been countless auditions for extras and the station is brandishing a sign that says it will be closed for two days. Sure enough, the film crew swept into town today, with an army of trucks, hordes of equipment and loads of security men sweltering in hi-vis jackets and brandishing walkie-talkies. My son, busy mastering his slack-line skills in the garden, was appalled when I asked him to walk to the station with me and take a look. But he eventually agreed and we strolled down the hill, past the Co-op, the taxi rank and lots of black hoardings shielding the film set. 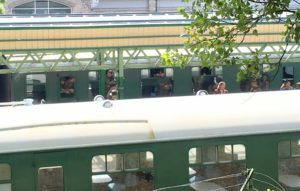 All we saw was a train and a bunch of actors in khaki uniforms, none of whom appeared to be Harry Styles. A few intrepid photographers fared better though and snapped the former One Direction star boarding a train with a mud-spattered face and swigging from a bottle of beer. Five minutes away, the holidaymakers sank into their deckchairs and soaked up the sun. “Harry who?” muttered one of them.